Interview Tips: Things should do during an interview!! You are here: Home / Interview / Interview Tips: Things should do during an interview!! 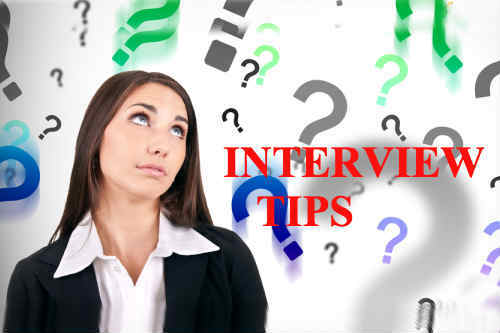 Interview Tips – During an interview!! There are certain mistakes that we likely to do during an interview without any second thought that could possibly affect the impression you tend to create on the employer. We always look for sources – searching websites, asking your seniors, your colleagues, and what not. Let us put an end to that need by sharing the best possible things that we can provide you with in-order to attend an interview without any mistakes. Let us consider this as an “interview tips”! You can go late to where ever you want, but not to Job interview because it will reduce your chances on bagging the job. It is assumed that the people are to be on their best on their day of Interview and if you are late it gives an impression that you are not trustworthy. Start like 1-2 hours before your interview so that you have ample time in hand even if something goes wrong. But this doesn’t mean that you should go and sit in your interview venue hours before, you need to go early to the place, but need not to enter the office building before 15 minutes. If you go sit in front of your interviewer may get into unnecessary pressure or creates an impression that you want him to leave all other work and attend you first, thus you wait for the apt time in the nearby place before you go inside the building. Sometimes you can be asked to wait for long hours than the scheduled time, it could be a trick to test your patience and if you fail to crack the rick then you would be rejected even before you sit for an interview. Sit back and patiently wait for you turn while you can also read the company’s in house journal and collect more info on the organization, utilize all the spare time you have to acquire more knowledge. We know we have been asking you to keep preparing and now all of a sudden we are asking you to stop rehearsing! We know that during school and college exams last min prep was very important but this is an interview that is more like a discussion so need not to mug up things last min as it will sound as if you are reading a script. Believe in yourself and that no one can’t take away the knowledge you have and thus you know what you know. Catch a mirror to see how you look as you might have started from your home long back and by now you could look all messed up, brush up looks and get ready to make the first and best impression. This could sound very filmy but think of good things that happened to you in the life span so that those thoughts will give you positivity and confidence that is hidden somewhere under the nervousness and anxiety. Like we mentioned earlier Confidence is key to success there particular thing that will be noticed instantly and will judge your confidence level. The first important thing before you enter the interview room is that you need to switch off your smartphones, avoid superfluous edginess and uneasiness, smell good, and look vibrant. Knock the door and wait for their call, have your portfolio on your left arm, take deep breathes. Give a firm shake hand with board adherents, politely introduce yourself, have a calm and genuine smile, stand straight and wait for their permission to sit; once you sit don’t touch the table or play with things kept on the table and keep constant eye contact, speak shot and crisp and don’t get too comfortable maintain the professionalism. Brief about your understanding on the post you have applied for, don’t hesitate to ask for a clarification, you can ask the HR on what was that in your resume that impressed them, this will guide you through the mind -set of the employer and you can answer the questions accordingly. The most important thing that would decide your fate in the interview is your friendly and polite nature, this because once you join the company you will have teams with which you need to adjust for and that, my friend, is important to have a very friendly nature and if you have subordinate then you need to be extra polite. Mind it that however educated and experienced you are, companies would not like to hire you if you are rude and arrogant. Especially to the people who are lesser than you in all manners because your character is judged by the way you treat them. Finding an apt job for yourself is very difficult and you might have faced many disappointments but make sure that the disappointment doesn’t become too obvious to the employer. Check for your tone and body language,which will say more about you than your words do. When you say that you know how to accomplish a job, and what happens if it doesn’t sound like you do, you won’t inspire much of hiring manager’s confidence. So give adequate pauses, and avoid uh, um, like and weak words like “i think i am…”, “ i hope ….” , “i believe i …”. Guide: How to answer in toughest interview? Its not only the way you come but it’s also about the way you go out makes an impression on the Interviewer. You need to exist the interview room the same way you entered, keep that bright smile on, give a firm hand shake, collect their business card so that it will be helpful for thanking them for their chance and also to follow up with them about the results or next round if needed. Make sure that you confirm with them about the next round or the next step of the interview. And one thing you need to remember always is that it’s not the resume, or the personal discussion it is the skills that makes an impact on the employer. This is a small effort taken by us to help you out, but if you feel you have better stuffs planned, then you can make your own list of Do’s and Donts which will be apt for you to excel. All the best amigo! !